What could possibly induce an educated, merchant Scotsman, with no citizenship in the U.S., no sympathy for slavery, and a clear opposition to secession, to join and fight for the Confederate Army? In this fascinating 1888 memoir by William Watson, you’ll find out. As a foreigner, he had a unique and fairly dispassionate view of the impending calamity of the American Civil War. He had lived and done business in the South for several years, watching and listening to all points of view as the country slid towards disaster. 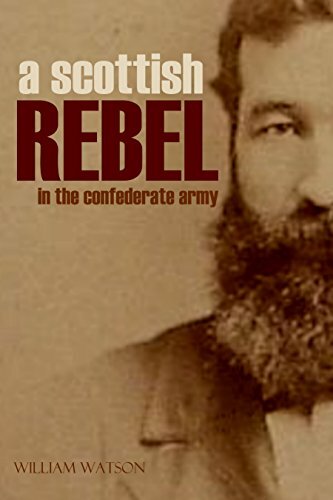 But when war came, Watson joined the Baton Rouge Rifle Volunteer Company to fight for the Confederacy. His insights and very self-aware answers as to why will surprise you. His observations of life in the South before the war are worth the entire book.